Queensland researchers are using advanced genomics and bioinformatics technologies to help egg farmers better identify and protect against fowl cholera. This highly-contagious disease, caused by the bacterium Pasteurella multocida, is particularly problematic in free range systems, where it progresses and spreads rapidly and can cause high mortalities of up to 20 per cent. Prevention by using fowl cholera vaccines can be more effective than medicating birds once infected. Currently vaccines for the disease are either a killed product (either off the shelf or specific for a farm) or a live vaccine. For the killed vaccines, the critical component of the vaccine is the lipopolysaccharide (LPS) molecule component of the bacteria. The complication for researchers and farmers is that the P. multocida bacteria causing fowl cholera has at least 16 known LPS molecules and, when used in a killed vaccine, these will only work when they identically match the strain causing the infection in the hen. The University of Queensland (UQ) Alliance for Agriculture and Food Innovation (QAAFI) Postdoctoral Research Fellow Dr Lida Omaleki says even a small change in the LPS structure, such as removing a single sugar to create a different sub-type, renders the vaccine ineffective. Previous industry research has found a molecular tool that can recognise eight genetic LPS types for this disease, but the key is to find the LPS sub-types to use in vaccines. Dr Omaleki says the new project will use whole genome sequencing and bioinformatics analysis to create a better system for analysing whole genomes and the components linked to LPS type and LPS sub-type. 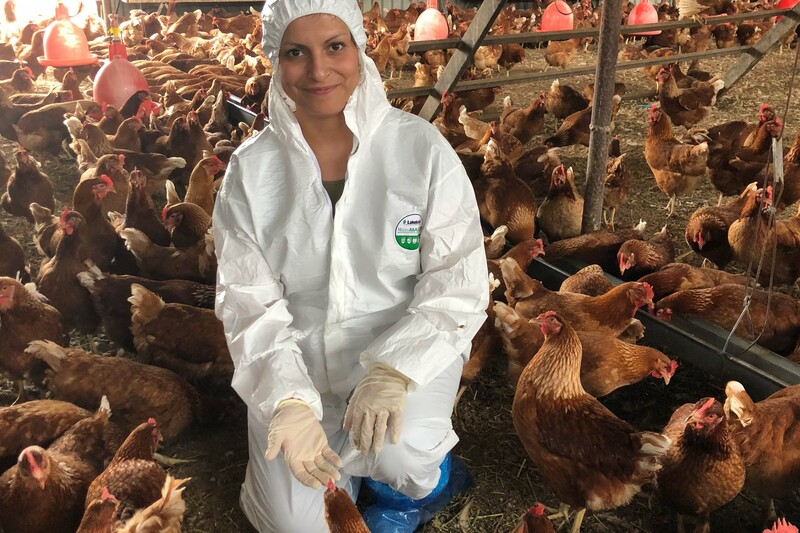 She says through an Australian Eggs and Agrifutures funded project, a team from UQ aims to be among the first in the world to develop a practical diagnostic technology for rapid and cost effective identification of the LPS type and/or sub-type affecting farms during an outbreak. This will lead to choosing a more suitable strain(s) to be used in killed vaccines against fowl cholera. “Our overriding goal is to be able to advise industry, especially egg farmers, on the best fowl cholera vaccine to use,” she says. The UQ study includes a comprehensive set of 125 isolates of P. multocida bacteria derived from outbreaks of fowl cholera in an organic chicken meat flock and a free-range layer flock. “Already we are seeing wide genetic variation, across time, in the fowl cholera challenge strains that are present on these farms, which clearly complicates selection of an appropriate and effective vaccine,” Dr Omaleki says. Researchers involved in this project includes Lida Omaleki, Conny Turni, Scott A. Beatson, Brian M. Forde, Patrick J. Blackall: This project is delivered through QAAFI at the University of Queensland, with funding from AgriFutures and support from the Queensland Department of Agriculture and Fisheries.